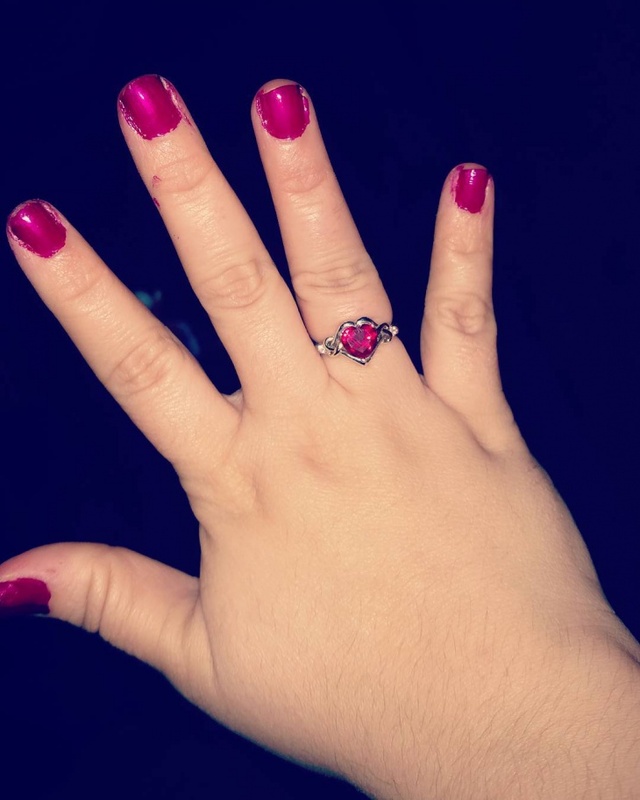 Ruby rings have become a trendy accessory. Available in different metal and sizes, this design looks good in both formal and casual outfits. 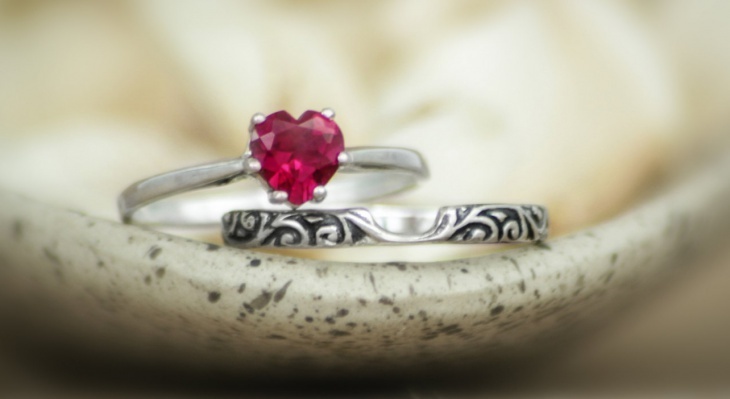 Instead of the traditional diamond rings, most ladies are now incorporating rubies in their round wedding rings to symbolize passion, courage, and eternal love. 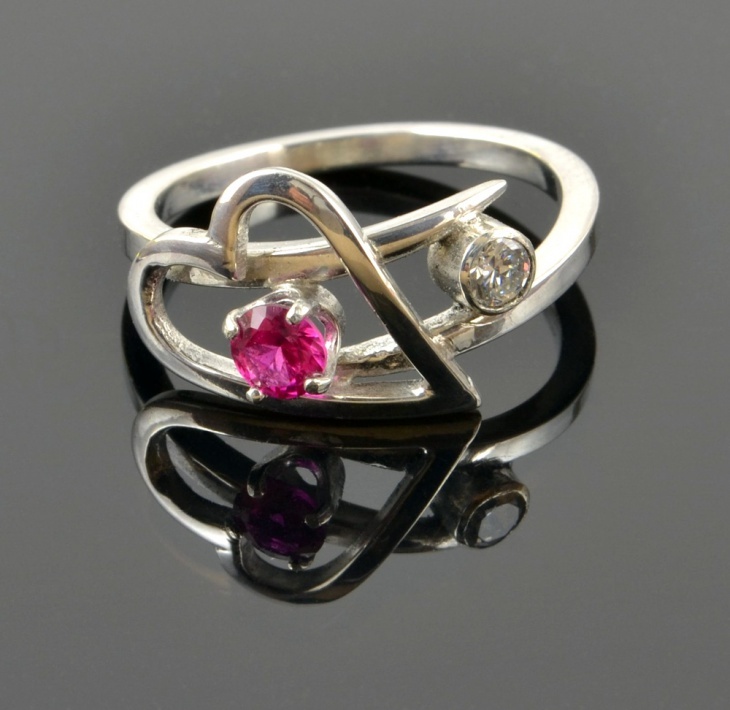 So, whether you love yellow gold or silver, there’s a ruby heart ring design that will look good on your fingers. Gift this ring to your loved one to symbolize your undying love. 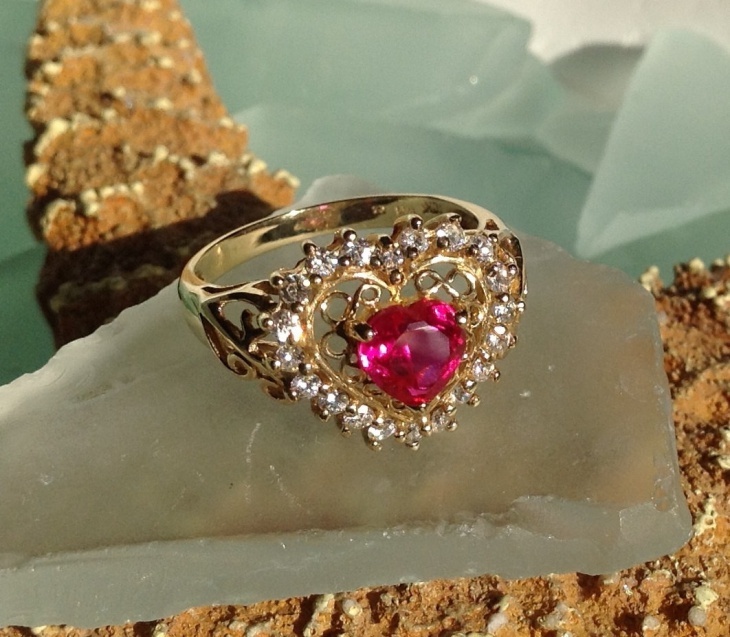 This gold ruby heart ring design is also unique making it the ideal engagement ring. With this gold ring on her finger, your lady will be proud of you. 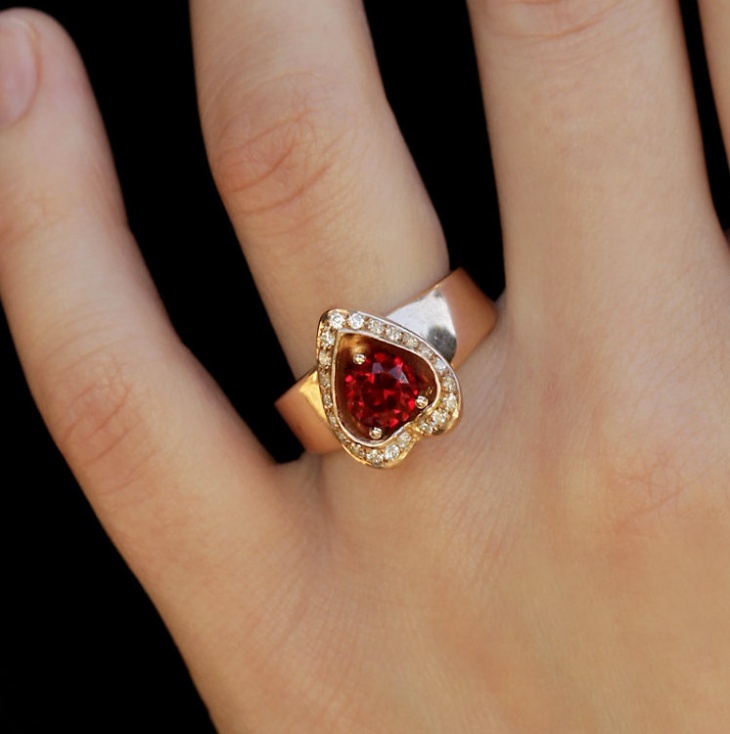 Girls with their birthdays on July can opt to wear this ruby heart ring to remember that special day. The cute double heart design with the yellow gold band will be a great present for your beautiful daughter. 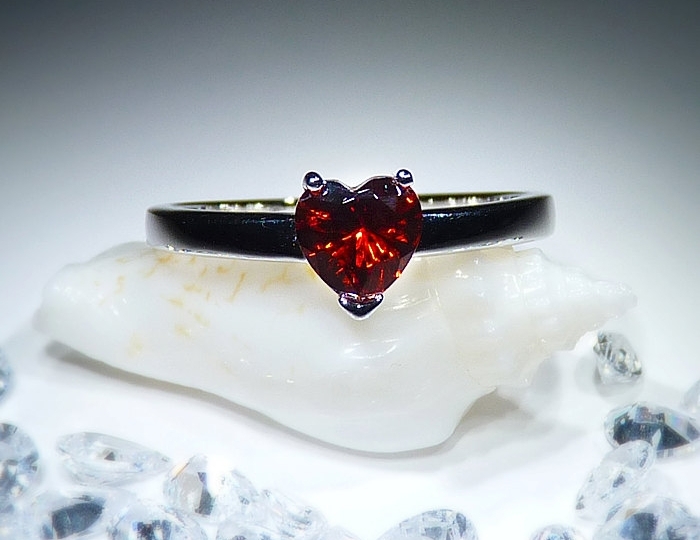 With a flawless stone clarity and sterling silver metal, this ruby heart ring is suitable as an anniversary gift or a promise ring. The lightweight nature of this antique ring ensures that you can wear it every day. A combination of a ruby and diamond will give you compliments among your friends. with this ring on your finger you will stand out as stylish as well as classy. You also have the option of engraving your name on it. 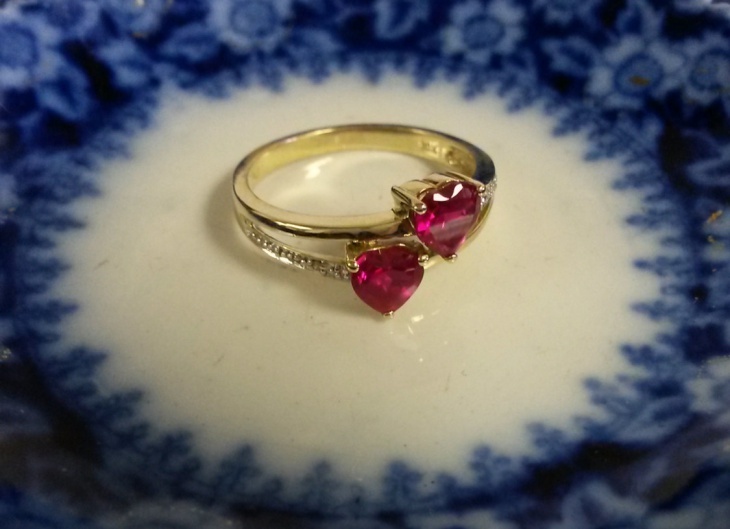 If you’re looking for a classy pear shaped ring for engagement, then this 18k gold ruby heart ring is just what you need. From its dazzling ruby cut to round diamond, this ring is elegant and will flatter fingers with both short and long nails. When you pair a ruby with a diamond, it symbolizes passion, commitment, and love. 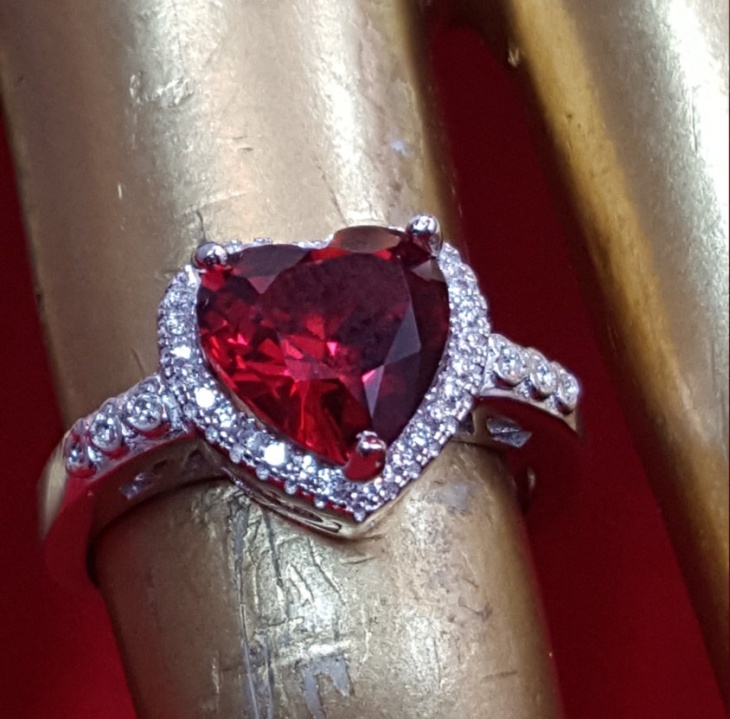 Since a ruby ranks top amongst precious gemstones by wearing this white gold ruby heart ring, you’re symbolizing your royalty and wealthy status. 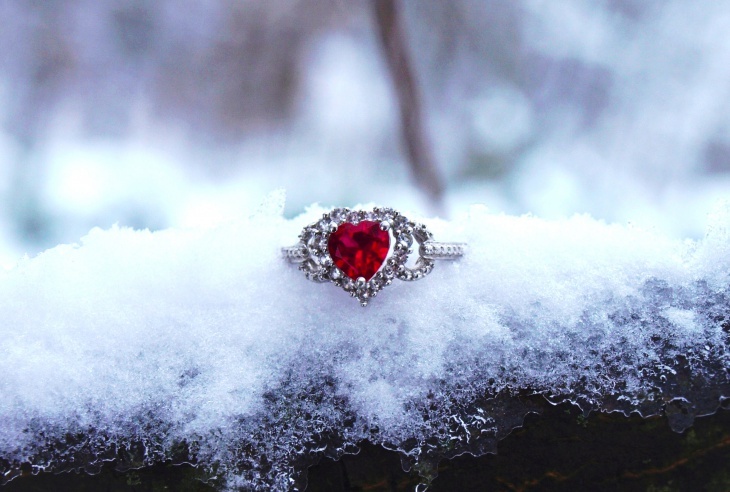 If power and love are what you look for in an accessory, then go for this ruby heart ring. 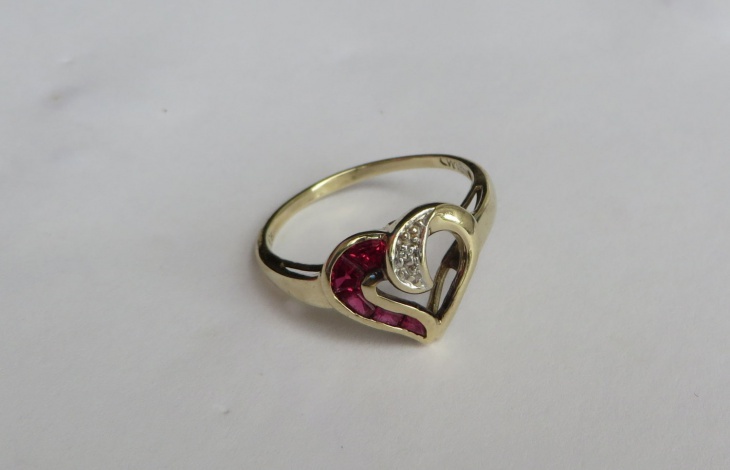 This beautiful ring has a cubic zirconia heart ruby in a vibrant raspberry color and a 10k solid yellow gold band. 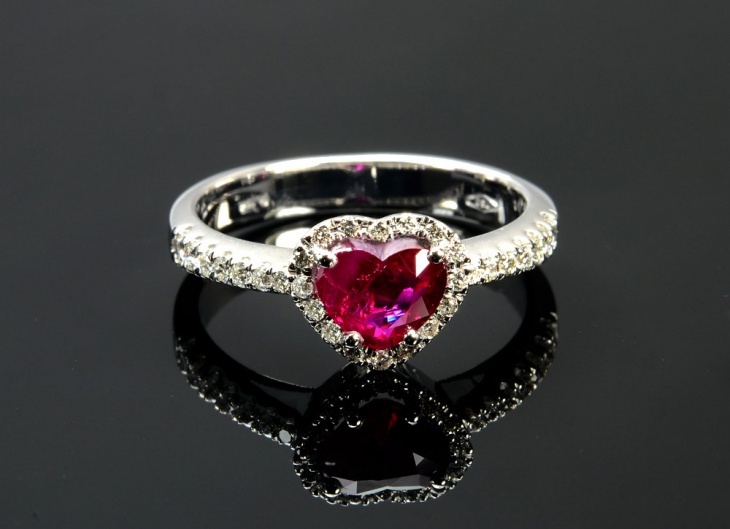 You will stand out when you wear this one karat heart ruby ring. The elegant sterling silver solitaire is carved into the smoke swirl band to ensure the ring feels comfortable around your finger. All ladies love candy! 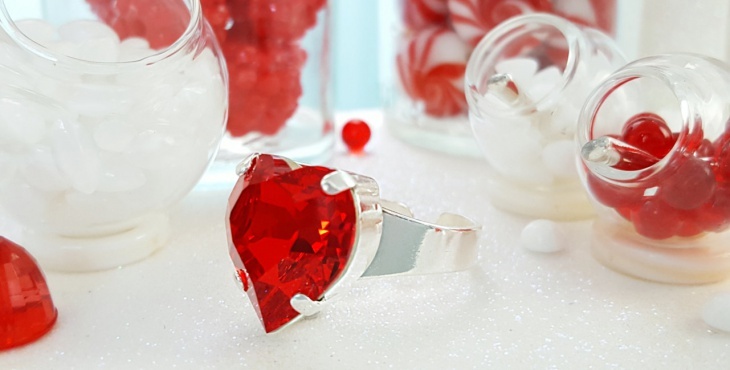 So why not gift this sparkly large crystal ruby heart ring inspired by the love of candy to that special woman in your life. 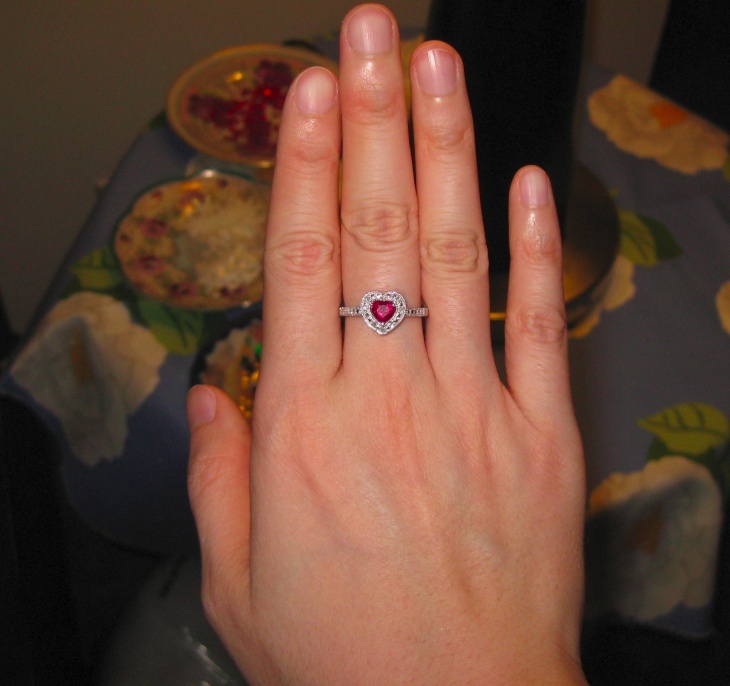 The shiny silver plating helps the ring to compliment all skin tone. 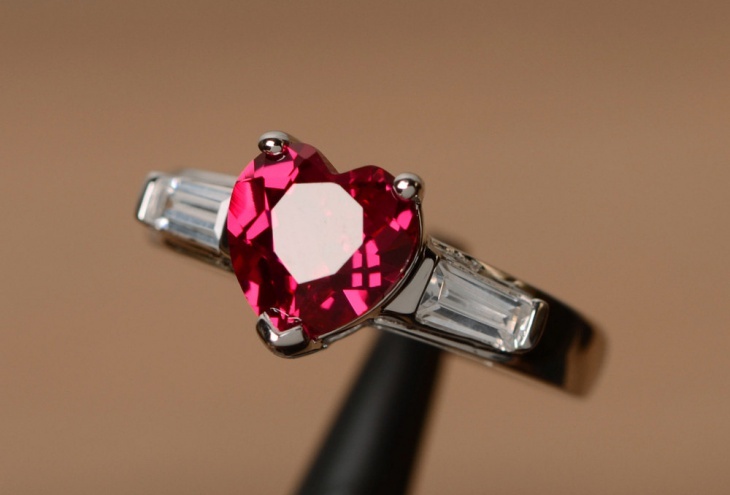 Square wedding rings can help your lady feel good, but you need a ruby heart shape ring to make her feel the love. The diamond accent in the heart design makes the ring cute, elegant and suitable as a symbol of love. 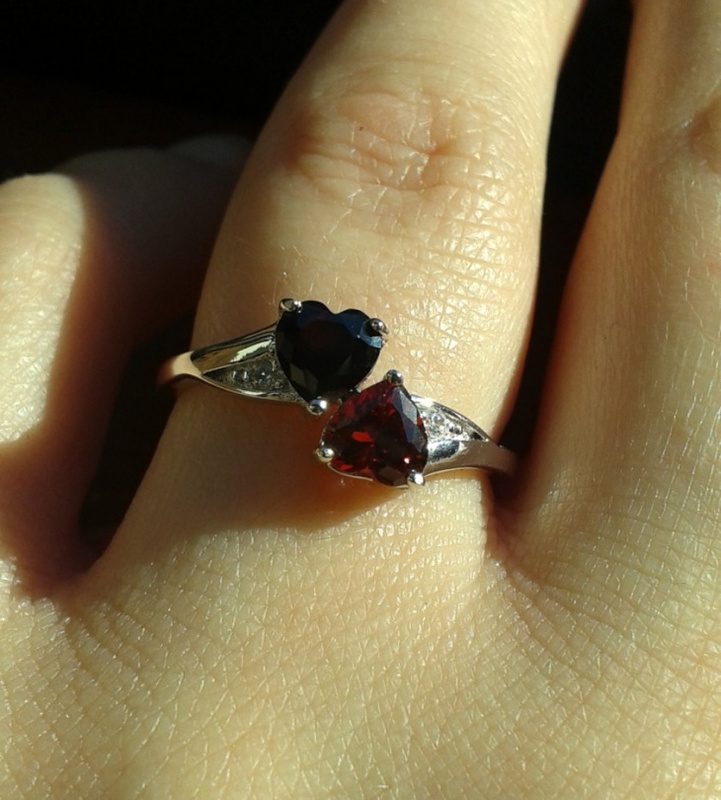 While rubies occur in different accessories, their name originates from the word rubber which means red in Latin. Various cultures such as those from India and China use rubies to symbolize power, superiority, class or rank. Other meaning associated with this stone includes love, passion, and courage. 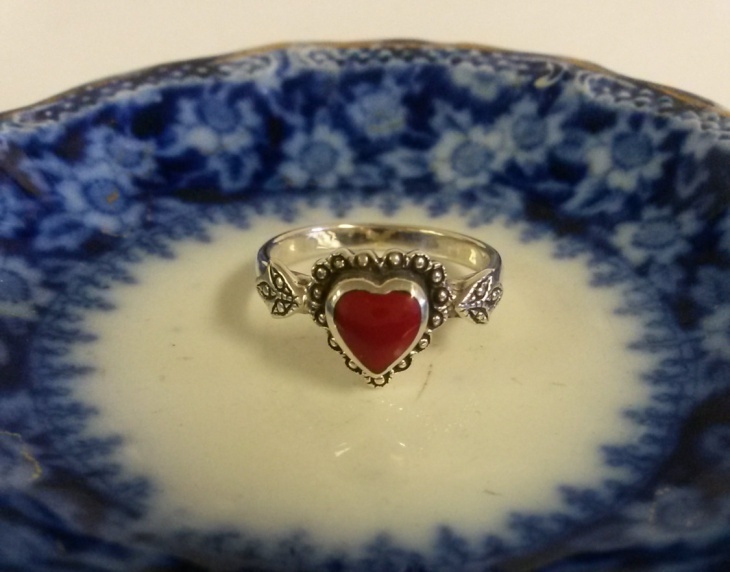 When it comes to cleaning a ruby heart ring avoid using harsh chemicals but instead wash with warm soapy water. Avoid wiping old or vintage rings with water instead polish them with a cotton cloth until they become clean. Ruby heart rings are the perfect engagement or wedding ring because they symbolize undying love, passion, confidence, and courage. The bold color is also suitable for any lady who wants to portray a dramatic trait. If a heart design is not what you like, then go for square engagement ring designs which are also classy and elegant.